Airstrive Music is the website for composer, performer, and educator Steve Riley who is a professional musician based in Lawrence, Kansas. In this website you will find recordings of various musical styles and percussion-related sheet music available for purchase. Also included is video content and information about other ventures. Thank you for visiting! 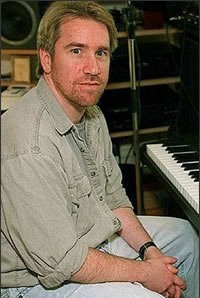 Steve Riley is an active musician in the areas of composition, performance and education. His former teachers include George Boberg, Thomas Plaster, Steve Barnhart, John Pozdro, James Barnes, and Audrey Mohn. 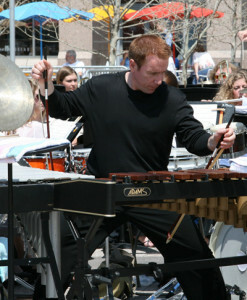 As a composer, Mr. Riley has been a recipient of The 2001 Kansas Arts Commission Fellowship (Grant) for Music Composition, 8 ASCAP Plus Awards, 3rd Prize in The 2004 Tampa Bay Composers’ Forum for Excellence in Chamber Music Composition, and he is also a two-time prize winner in the Percussive Arts Society Composition Contest (1st: 1988 and 3rd: 1999). He has many compositions published with C. Alan Publications, Ludwig Masters Publications, Innovative Percussion, and Airstrive Music, and his works have been performed at universities and venues around the world and at events such as The Percussive Arts Society International Convention, The Society of Composers Incorporated Regional Conference, Music For All (Band of America), and The Midwest Clinic in Chicago. He served for 11 years as a member of The Composition Contest Committee for The Percussive Arts Society and is Past President of the Kansas Chapter for that organization. Mr. Riley has been commissioned by percussion professors at three major universities in Kansas and Missouri to write new works. 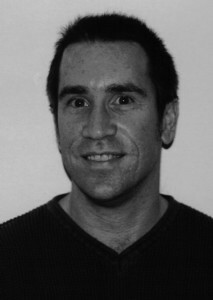 Additionally, his composition Declarative Stances has been cited in John Beck’s Encyclopedia of Percussion as part of a group of works that are “significant contributions to percussion ensemble literature from its inception until the late 20th century”, and Gramophone magazine described his work Eye Irascible as a “mesmerizing narrative”. In percussion performance, Steve is an active free-lance percussionist in classical, jazz, and pop/contemporary styles in the Lawrence, Kansas City, and Topeka areas. He was formerly Principal Timpanist of the American Wind Symphony and the Topeka Symphony Orchestra, and has also played drum set and extra percussion with The Kansas City Symphony. He is also very active in musical theatre (including many productions at venues such as Starlight Theatre and The New Theatre Restaurant in greater Kansas City and The Rep in St. Louis). Steve is also a singer-songwriter and multi-instrumentalist, including a full length solo CD of original rock-pop music entitled Through Cells which he has performed with the band Wryly Bent. In education, Steve Riley held the position of Adjunct Instructor of Percussion and Music Composition at Baker University in Baldwin City for 14 years (2002-16), and he was also the Interim Director of Bands at Baker during Fall 2011. During the 2018 Spring Semester he was Guest Artist-in-residence, Percussion at Kansas State University. He is an active adjudicator and clinician, has been the Percussion Instructor for Midwestern Music Camp, Kansas Lions State Band, held the position of Drumline and Concert Percussion Instructor at Olathe Northwest High School for 6 years, was a Percussion Lecturer at The University of Kansas in Summer 2015, and he is the Percussion Ensemble Coach at Lawrence High School. Additionally, Steve maintains a large private studio averaging over 35 weekly/intermittent students who have achieved honors such as Band of America, KMEA soloists, KSHSAA State and District Concert/Jazz Band selections and numerous first division ratings. Steve is a member of ASCAP, PAS, NAfME, and SCI, and is endorsed by Pearl/Adams and Vaughncraft Percussion. He lives in Lawrence, Kansas with his wife Rita and son Simon. Patrons interested in contacting Steve Riley regarding a composing/music commission or percussion clinic can inquire directly through any of the contact means below. Welcome to Airstrive Music! In celebration of the re-launch of this website in February 2014, Steve Riley is pleased to post his first original music video for Airstrive Recordings’ first CD release, “Through Cells” (available in both CD purchase and download formats). We hope you enjoy the video for “Singing Through Cells”, the song which closes the full-length recording. 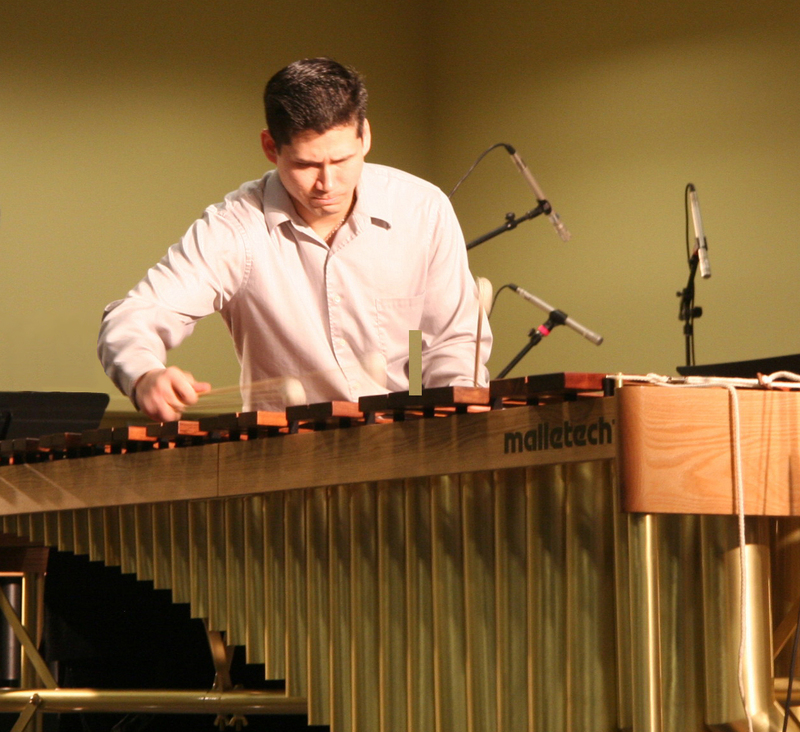 Airstrive Music is pleased to announce that marimbist Kevin Bobo (Indiana University) will be recording Steve Riley’s marimba solo “Transference”. Look for Bobo’s recording to appear on a future CD recording of Steve Riley’s compositions, and sound clips from the recording will appear in the PUBLICATIONS section of this website in late summer 2014.